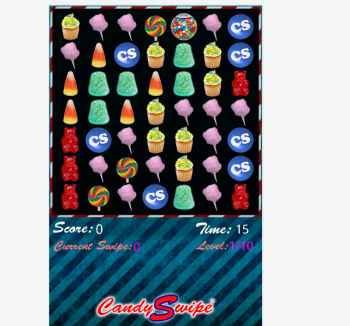 The maker of CandySwipe has announced that he has "amicably resolved" his trademark dispute with Candy Crush Saga studio King. Update: Stoic, the maker of The Banner Saga, has also settled its dispute with King, and actually did so ahead of the CandySwipe settlement. In a statement released late last month, the studio said, "Stoic is pleased to have come to an agreement with King regarding Stoic's The Banner Saga trademark, which enables both parties to protect their respective trademarks now and in the future." Original Story: King hasn't exactly employed a light and discretionary touch in the defense of its Candy Crush Saga trademark, but even in that less-than-flattering light its handling of CandySwipe maker Albert Ransom was equal parts brazen and nasty. Ransom's trademark on CandySwipe preceded King's claim on Candy Crush Saga, and because his game was demonstrably suffering from confusion with King's (and perhaps inspired by King's own readiness to file infringement claims), he took action to defend his mark. King's response was both ruthless and ingenious: It acquired the rights to CandyCrusher, a game that predates CandySwipe, and then used the ownership of that game to argue that Ransom should lose his trademark. Unable to compete with King's multi-million-dollar war chest, Ransom gave in, although he did not go quietly, and his open letter to the studio only darkened its already bruised reputation. But now it seems as though he's managed to work out some kind of happy ending, or at least one he can live with. "I am happy to announce that I have amicably resolved my dispute with King over my CandySwipe trademark and that I am withdrawing my opposition to their mark and they are withdrawing their counterclaim against mine," Ransom wrote in a statement posted on CandySwipe.com. "I have learned that they picked the CANDY CRUSH name before I released my game and that they were never trying to take my game away," the statement says. "Both our games can continue to coexist without confusing players." Ransom had recently launched a Kickstarter for CandySwipe 3.0 but pulled the plug on it last week; the update explaining the cancellation is for backers only but according to Gamezebo, it was done "in good faith" as he tried to reach a settlement with King. And while it sounds like all of this sound and fury has resulted in nothing more than headaches and a return to the status quo, at least Ransom gets to maintain his trademark - and hopefully he'll reap some benefits from the publicity surrounding the case, too.